Dubai is one of those amazing places that everyone should make an effort to visit at least once in their life. Sadly, it’s also one of those places that, when people do holiday there, they really don’t make the most of the city and all it has to offer. People are often so blown away by the beautiful beaches and luxury resorts they see on myconcierge that they do little more than relax and pamper themselves. Of course, there’s nothing wrong with that, but there are so many amazing experiences to be had in Dubai that it would be a shame to miss out on them. Skydiving is a common feature in a lot of people’s bucket lists. It just seems to be one of those things that everyone wants to do due to its novelty and the exhilaration it makes you feel. So, what could be better than combining the beauty of Dubai with a skydive over the desert with Skydive Dubai? Not much. This might be an obvious one, but everyone should visit the Burj Khalifa, which you can book tickets for at the Burj Khalifa, and which is currently the tallest structure in the world, coming in at 2717 feet high! So awesome is the metallic building that you can easily spend the whole day there, eating, drinking and exploring. Did I mention the spectacular views from the 122nd floor? You’ll definitely want to experience them too. 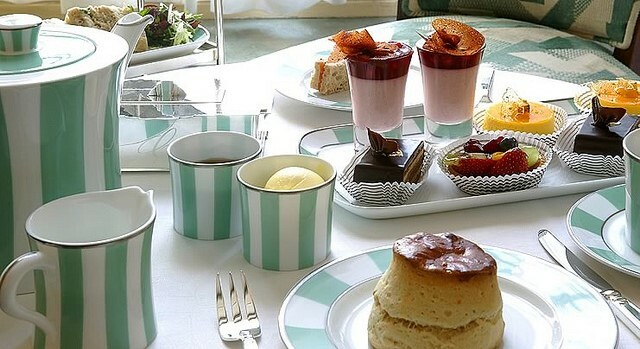 If you think that afternoon tea is a delicious treat in this country, just wait until you’ve sampled the delicacies on offer at Burj Al Arab. Spicy masala tea, scones, sandwiches and chocolate tea with an eastern twist are more amazing than you could imagine and definitely worth putting on your bucket list. Penguins are, I’m sure you’ll agree, extremely cute little critters, and although Dubai might well be the last place you’d expect to find them, they are there and they are a well worth getting acquainted with. You’ll find the penguins at the city’s indoor ski slope, which is also a great place to try out your winter sports skills in the desert. What could be a better item for your bucket list than sampling the world’s most expensive cocktail? 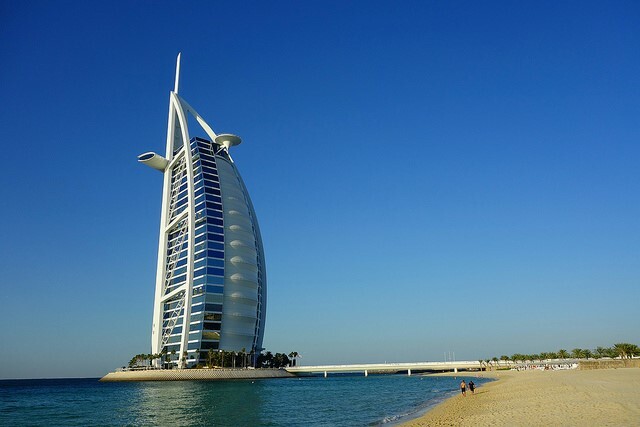 I can’t think of many things, which is why I would highly recommend that you include a trip to the Burj al Arab’s 27th floor, where you will find the SkyBar and more importantly, it’s signature cocktail. Which will be served to you in an 18 carat gold cocktail glass! Perhaps, you should do this before you drink that cocktail. But you certainly should make an effort to visit Ferrari World – home of the Formula Rossa coaster – the fastest rollercoaster in the world. You’ll never experience anything like it anywhere else!